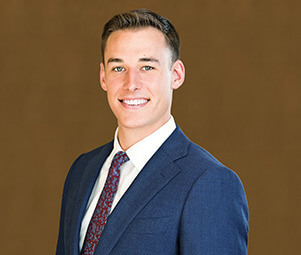 Tyler Groth is a real estate investment specialist advising in the disposition and acquisition of single-tenant net-leased properties nationwide. Tyler and his team have represented both institutional and private clients and have transnational experience in both individual assets as well as portfolio transactions. Tyler’s in-depth knowledge of the market combined with his expertise in underwriting and marketing have provided value to his clients and helped close a variety of transactions. Prior to joining Matthews™, Tyler specialized in investment sales with Colliers International. During his time at Colliers, Tyler focused intensely on the acquisition and disposition of commercial investment real estate, leveraging his knowledge of financial underwriting and capital markets to better his client’s overall investment position.